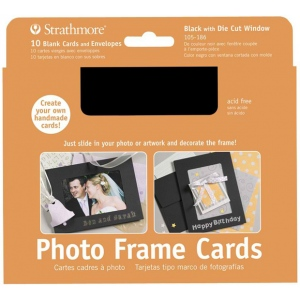 These tri-fold cards feature a cutout window which accommodates either a 3½" x 5" or a 4" x 6" photo (38" X 4s" opening). 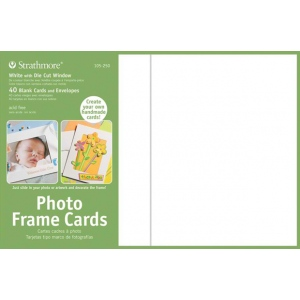 * Simply insert photo or artwork at the folded edge of the card and personalize the frame. 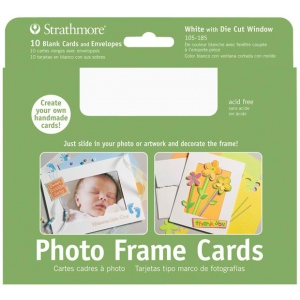 * Double-stick adhesive tabs are included to secure the insert. * Cards are 80 lb. cover measure 5" x 6d".